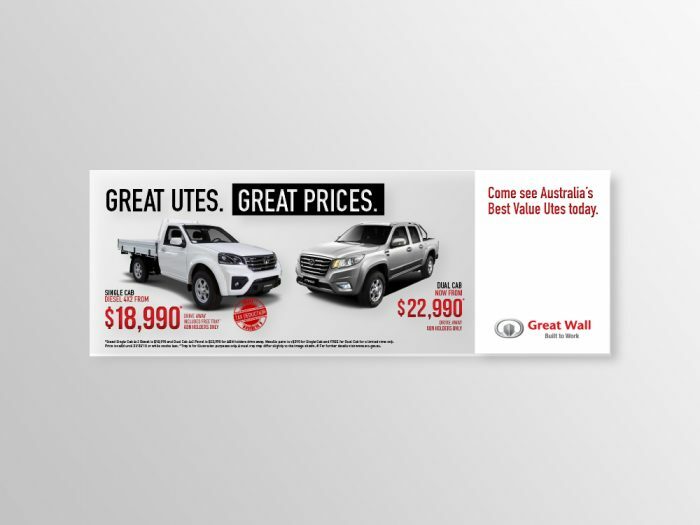 MOO Marketing and Graphic Design Agency was recently appointed by Great Wall Motors to develop and implement a marketing campaign for their Steed Single Cab Ute in Australia and New Zealand. 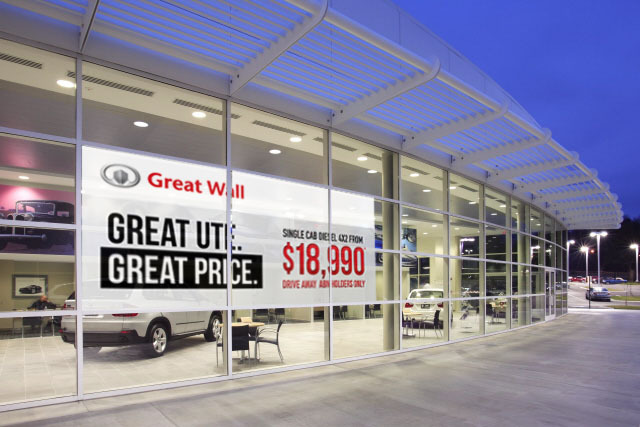 The marketing campaign required the design of a campaign theme and tagline. In the second phase concepts for the Australian market were created and refined to account for application across a broad range of media. This was followed by the development of graphic design concepts for a variety of dealer support materials including flyers, advertisements and eDMs as well as website and social media applications. Further concepts and designs were created that incorporated the Steed Dual Cab model. These too were translated across the full suite of dealer support materials. The single and dual cab ute markets in both Australia and New Zealand are highly competitive. 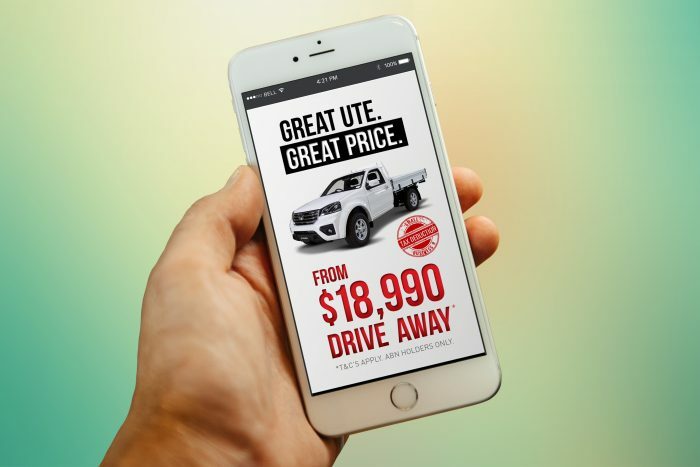 The response and feedback from these marketing campaigns will be incorporated into future designs and messaging to maximise the response from the target markets. 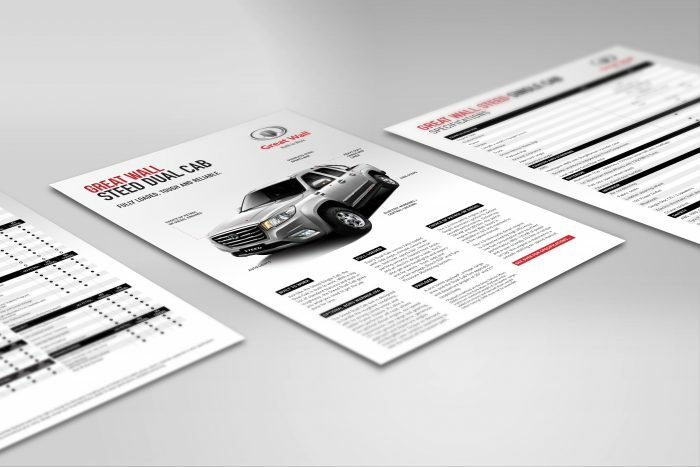 As a full service marketing agency and graphic design agency MOO was able to manage the implementation of both digital marketing and print marketing materials to promote the new vehicle launch in an efficient and timely manner.